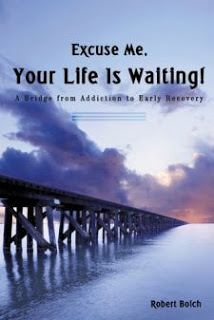 Enter to win a Print copy of Excuse Me, Your Life Is Waiting! by Robert Boich. Just comment on this post! One lucky commenter will be chosen. I'm currently working on my second book, a novel based on World War I and the Battle of Verdun. It is a far cry from my first work, Excuse Me, Your Life Is Waiting! which was a first person narrative based on my substance abuse struggles and early months in recovery. My current project has involved a tremendous amount of research. Following my initial visit to the city of Verdun and the surrounding battlefields, I spent several months reading everything I could lay my hands on regarding the battle. The major characters and storyline fell into place quite quickly. I was about fifty thousand words into my first draft, when I realized that something was missing. I began questioning some of the details I was weaving into the storyline. It was time for another trip to France. Although I had plenty of resource materials at my disposal, I felt compelled to follow the paths of my characters; to actually retrace their steps. So that's what I did: both in Paris and in Verdun. In Paris, I took the same metros, and followed the exact path that my characters took in my story. For the most part, I was retracing ground covered on many of my previous visits to the city. This time the difference was that I was looking at everything through the eyes of my characters. In Verdun, I took things a step farther. I made arrangements to meet with an historian, the same one who had shown me around the battlefield on my previous trip to northeastern France. We explored specific sections of the battlefield; places where my characters would be spending time in my story. Much of the terrain was difficult, and off the beaten path, but the experience was invaluable. It's one thing to study a position on a map -- an important ravine or a strategic hilltop -- and write a story about what happened on that specific piece of real estate. It's quite different to actually traverse the terrain that your character covers in the story; or to stand on the spot where one of your characters has been wounded or killed. There's no doubt in my mind that my field research has not only given me a better understanding of what my characters would have had to endure; but that it has also added a tremendous amount of depth to my story. On top of this, it was exciting and it was fun. Have fun with your research. You won't find all of the answers that you are looking for in books. Robert Boich was born in Phoenix Arizona. He earned his bachelor's degree from the University of Colorado and attended Ohio Northern University where he graduated with a law degree. The author also received his LLM in Taxation from Boston University. 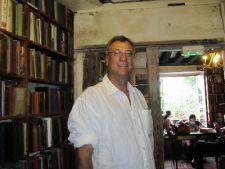 In his free time, Boich enjoys golfing, skiing, traveling and reading. He is married with four children and practices law in Ohio. You can find the authors first book, Excuse Me, Your Life Is Waiting! on his website at http://www.rwboich.com. His current project, based on the Battle of Verdun is still in the works.